Chris started working at ARM in 2008 until 2015 before returning in 2016 and is one of three responsible for the Project Management, detailed design, commissioning and handover of constructed wetlands (Reed Beds) including vertical and horizontal flow FBA systems for both municipal and industrial applications. Chris is a strong programme and project management professional, with a Bachelors Degree from Staffordshire University and is an experienced Project Manager with a demonstrated history of working in the environmental service industry managing multiple projects that range from 50k through to 1.5m. 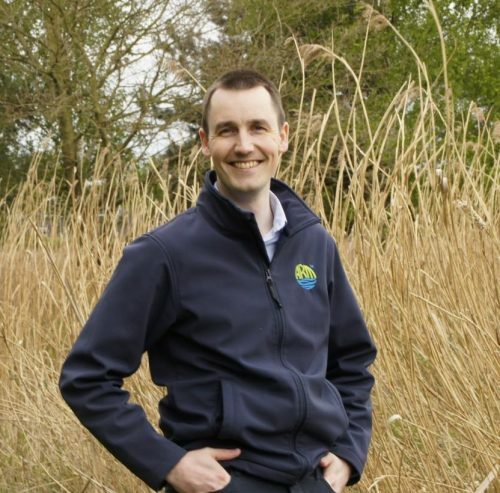 Chris was one of the key members within ARM in designing, constructing, and project managing the UK’s first primary treatment wetland (Phragmifiltre) alongside Severn Trent’s delivery contractors MWH and our French partners EPUR Nature / Syntea. Chris is skilled in the fields of sustainable development, multi project co-ordination, operations management and design engineering. Throughout Chris’s career he has taken great care in maintaining an exceptional working relationship with clients, main contractors, sub-contractors and local authorities.